Our goal is to connect people with the best local experts. We scored wedding photographers on more than 25 variables across five categories, and analysed the results to give you a hand-picked list of the best wedding photographers in San Jose, CA. A Tale Ahead Photography is located in the San Francisco Bay area but will travel for destination weddings. They specialize in candid photos of proposals, engagements, and weddings. They pride themselves on their ability to tell a story and for capturing the subtle emotions unfolding before the camera. Established in 2012, Adrian Yau Photography is located in Union City, CA. The studio specializes in wedding, engagement, and portrait photography. Clients commend the studio for their turnaround time and techniques when working with young children. Anh Dang Studios offers photography and cinematography services for weddings, engagements, and corporate events. They are located in Union City and serve the San Francisco Bay area. Clients praise the photographer on prompt, creative, detailed oriented, and reasonably-priced service. Brian Byllesby Photography is based in the San Francisco Bay area. The studio is open to all projects and currently offers offers photography services for family pictures, wedding ceremonies, headshots, and portraits. Brianna Noelle Photography, located in Tracey, CA offers services in many genres including boudoir, wedding and military homecomings. A client raved the photographer was professional, knowledgeable, and does amazing work. Catherine Seriosa Photography is located in San Jose, California. The photographer utilizes a photojournalistic style to capture wedding ceremonies, special events, and individual portraits. Charles Le Photography specializes in engagement, portrait, and wedding photography in San Jose and beyond. Charles' high-quality work earned him WeddingWire's Couple's Choice Award in 2015. He takes a non-intrusive approach to capture natural poses and the candid, non-choreographed moments of the wedding. Chris Shum Photography specializes in capturing authentic moments and the unique personality of each couple’s love story on their wedding day. The San Jose-area photographer has been telling love stories through high-quality images for more than a decade. He brings an extraordinary level of energy and professionalism to every event while exhibiting a simple, yet elegant style. Couples can trust Chris Shum Photography to capture the fleeting moments of the day from toasts and tears to laughs and dancing. He maintains an artistic, photojournalistic style with the exquisite composition that clients treasure for years to come. Satisfied clients appreciate the artists’ meticulous attention to detail and his outstanding level of creativity. Chris Shum Photography delivers complete wedding albums that are crafted by hand with the finest materials. Christie Chen Photography is a recipient of the silver award from the Wedding and Portraits Photography International. The photographer specializes in weddings, portraits, and destination photography in San Jose. Dana Todd Photography was selected as the "Top Pick" by the Knot in 2015. Based in San Jose, California, the studio offers wedding and engagement photography services that include candid photos and portraits. Elias Pasillas Photography is located in Central Valley and serves the Bay Area. They offer photography services for destinations, wedding ceremonies, senior pictures, special events, and individual portraits. Glam Flash Photography is based in San Jose and serves the state of California. The studio's style is to work with natural light and outdoor settings. They offer candid photos, portraits and boudoir pictures for engagements and weddings. Harry Who Photography offers photography services for destinations, wedding ceremonies, special events, and individual portraits. The studio's style is to capture unique, classic, and candid poses. They are based in San Jose, California. Jen Vazquez Photography specializes in vibrant, elegant and genuine wedding and engagement photography in the Bay Area and beyond. I've been featured on Borrowed & Blue, Wedding Fanatic, Vermont Bride, Brides & Weddings, Destination Wedding, Elegant Wedding, Wedding Colors, A Northwoods Wedding, and Perfect Wedding Guide. Click below for more information. 2018 couples choice (WeddingWire) Editors Choice (Two Bright Lights). Kara Miller is a San Jose wedding photographer that serves the Bay Area and beyond. Kara has a photojournalistic style and prefers to take outdoor photos with natural lighting, and takes a limited number of wedding per year to ensure the highest quality for her customers. Wedding packages can be customized as needed, but tend to start around $4,600. Karen Tamaki Photography is a wedding photographer who uses a photojournalistic and documentary style. The studio offers services for weddings, corporate events, birthdays, and portraits in San Jose, California. Lisa Marz Photography is a business that provides wedding photography and portrait photography. Wedding and elopement photography provides 75 edited and color corrected digital images per hour, and 90-day access to an online gallery. Lisa also offers a 45-minute engagement session that includes two outfit changes, 10 high-resolution images, and seven prints of different sizes. The session takes place at clients’ homes or outside. Lisa Marz Photography provides family packages, maternity sessions, newborn sessions, belly and baby sessions, birthday sessions for children two to five years of age, milestone sessions, and cake smash sessions. Clients appreciate her prices, attention to detail, punctuality, and professionalism. Love is in the Air Photography is based in San Jose and serves the San Francisco Bay Area. In addition to wedding and engagement photography, the team captures aerial, family, and senior portraits. Standard wedding packages range between $1,500 and $3,000. Onyx Pictures offer wedding and engagement photography and cinematography services. They focus on using outdoor scenes, natural lighting, and different architectural backdrops. They have a mix of eastern traditional, modern and fashion styles and a background in photojournalism. They serve San Francisco and Los Angeles areas. Rich Jarvis Photography works in many styles, including photojournalism, editorial, and traditional. The studio offers photography services for wedding ceremonies, engagements, and individual portraits. The photographer is highly rated on WeddingWire and serves the San Jose area. 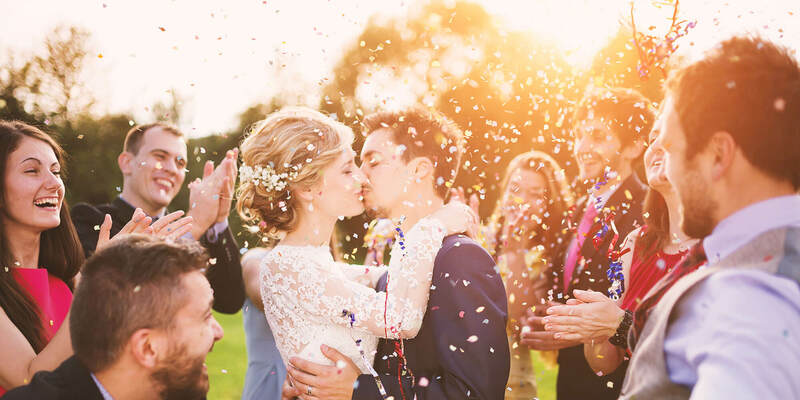 Ryan Lam Photography, located in San Jose, CA has been recognized by several wedding publications such as WeddingWire, Savvy Bride, and the Knot. The studio photographs weddings and aims to capture the intimacy of the moment. The photographer is also a member of the Professional Photographers of America. Still Music Photography has been featured on many wedding photography sites including the Knot, Storybook Wedding, and Mountainside Bride. The studio is located in San Jose, California. They specialize in wedding, engagement, and portrait photography. Sun and Life Photography was named as one of the rising stars in wedding photography by Rangefinder Magazine. The studio specializes in photojournalism and documentary work as well as portraiture and fine art. They are located in San Francisco but are willing to travel. Susan Helgeson Photography is based in Santa Cruz, California and specializes in wedding, engagement, and portrait photography. The photographer has a photojournalistic style and incorporates candid photos. Whimsical Photos is based in San Jose, California. Peter, the lead photographer, specializes in candid wedding, engagement, and portrait photos. His style utilizes natural light and outside scenes.